Keenan Davis grew up in a household filled with children. His mother ran a home day care and sometimes children were still there when young Davis was tucked into bed. His mother worked nonstop, Davis said. His grandmother also ran a day care out of her home and Davis calculates that hundreds of kids got their early education from the matriarchs in his life. Today Davis runs his own family child care in a small yellow house in San Pedro. He’s the one playing a pig, crying “oink oink” as he gets down on all fours to make storytime come alive for his small charges. In the evenings when he doesn’t have children to care for, he ploughs through the necessary paperwork so he can get paid for the child care he provides. The majority of children Davis serves come from families whose income is below the poverty line, so their care is paid for by the state of California. It’s below market rates for private child care, and some months it is a struggle if payments are held up for one reason or another. Davis is one of six thousand small business owners in LA who has a license to run a child care out of his home. It’s a hard job — long hours, low pay and few benefits. Davis sticks with it because he loves caring for children, but it’s not easy, he said. Despite working long hours, “I can’t even have my own child in extra curricular activities because I don’t have the money,” Davis said. The children Davis serves are lucky to be in an early care setting. Over half a million children under the age of five in Los Angeles County cannot go to preschool or child care; there are not enough licensed seats available. 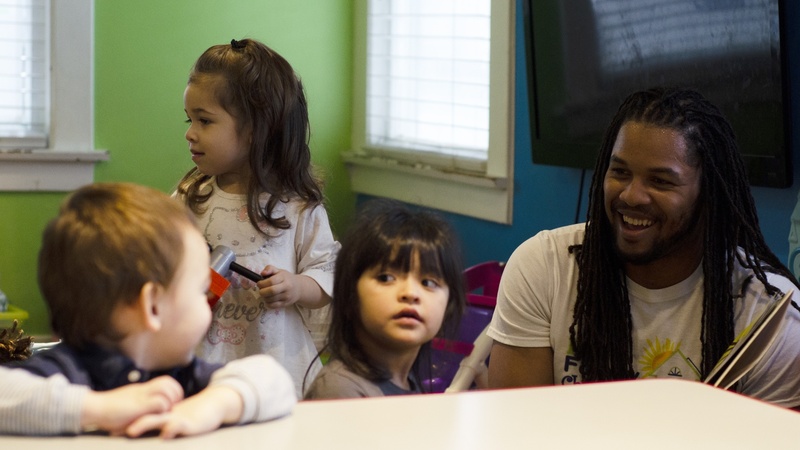 Most day cares are privately run and even though there’s plenty of demand in the market, there are not enough entrepreneurs, like Keenan Davis, who want to get into the business. The lack of licensed child care seats in LA County is repeated statewide. And the problem is getting worse as daycare providers leave the field. Over the past five years, LA County has lost 1,600 daycares. 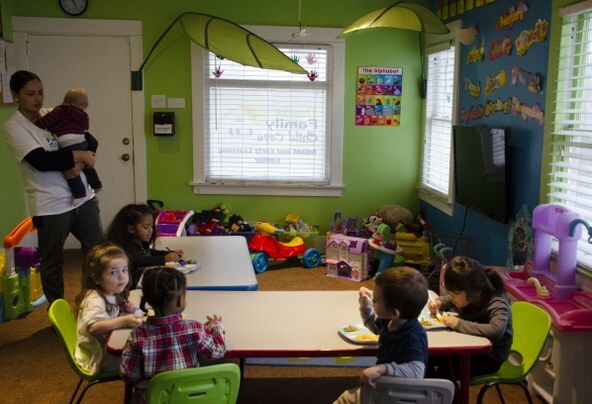 That’s 15,000 less child care slots countywide. Olenick said many day care providers earn so little they cannot afford health insurance nor put aside money for retirement. Yet these day cares are critical to the tapestry of early care options for parents with children under five years old. Day care director, Tonia McMillan said she understands the challenge and is phasing out her day care. “I’m no longer accepting any new infants, toddlers and preschool age children,” she said. Although, a few years ago McMillan finally bought herself an Obamacare healthcare plan, she has worked without benefits. She has no vision or dental insurance, and no retirement plan. “At this point right now I’ve done this incredible work for literally almost 25 years and I have nothing to show for it, nothing,” she said. Miriam Lang, a high school math teacher, sent her daughter to McMillan’s day care as a baby and she remained in care for three years. “I knew that when I dropped my daughter off I never had to second guess,” Lang said. She said McMillan often worked more than 8 hour days, and children would still be at her home when Lang arrived from work in the evening to collect her own daughter. “She always had fresh hot meals prepared and they were comparable to what I would feed her,” she said. Lang knew McMillan from church. She is well known in the local community, Lang said, and is saddened she has to close. “It’s truly unfortunate,” Lang said. McMillan said she doesn’t want to close. And if her working conditions could just improve, she might be able to continue. 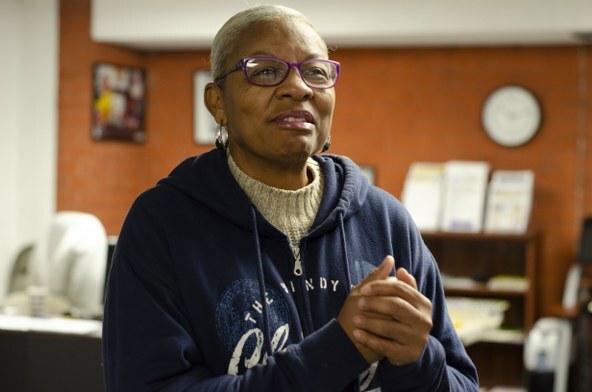 Tonia McMillan at Service Employees International Union, SEIU, in Lynwood on Feb. 14, 2019. McMillan has joined other child care providers in pursuing an unconventional strategy to try and change things.They have joined a union, SEIU, and they want the state of California to recognize the union and sit down to collectively bargain with them to create a contract. The goal is to improve the working conditions so the job is more sustainable for those already in it and more attractive to those thinking of starting a day care in their home. It’s not a new idea. 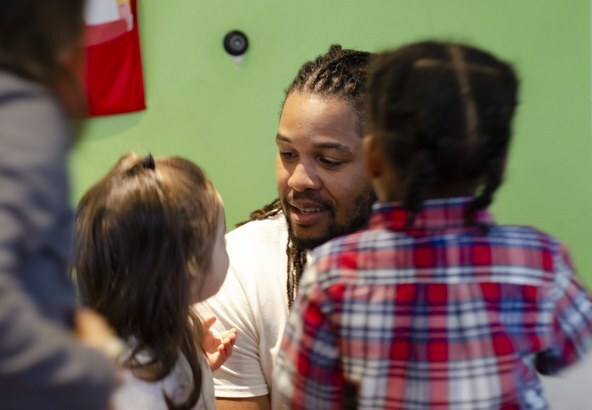 In fact SEIU has been working with child care providers for years, and has tried for 15 years to have the state of California officially recognize it as the representative of child care providers with the right to collectively bargain with state officials. In that time there have been five bills that the legislature has supported but Governors Schwarzenegger and Brown vetoed, citing costs. 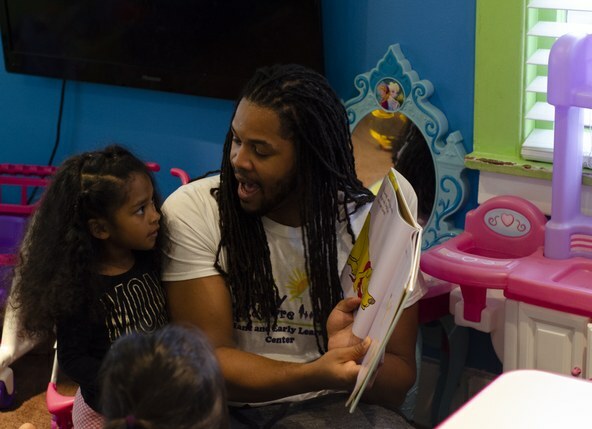 On February 6, a new bill was introduced, AB378, which recognizes SEIU as the union of child care providers, and grants them the right to collectively bargain directly with Governor Newsom, who in effect, is their boss. What’s unusual about a union based strategy in this case is that the workforce of child care providers are small business owners. They work for themselves. However, they would collectively bargain with the governor, because so many serve mostly low income children and most of their payment comes from the state. Assemblymember Monique Limon of District 37 is the bill’s sponsor. She said child care providers are uniquely poised to help the state improve its complicated early care system. “We can’t just increase spots without also having the providers at the table,” she told a rally on the steps of the Capitol in Sacramento the day the bill was introduced. Step one is to lobby lawmakers and get AB378 through the legislature and to the governor’s desk. Then if Gov. Newsom signs the bill, a vote would take place among all child care providers as to whether to approve a union to bargain on their behalf. McMillan is leading the effort to get more providers on board with the union strategy. She said that every time she talks to a provider about the union effort she hears the same requests. “I would like to see a career ladder so that providers have somewhere to go and grow when they get into this field. I would love to see some type of retirement plan. I would like to see a benefits package for when a provider is sick,” McMillan said. Coming together as a group would allow for the purchase of a group health insurance plan at cheaper rates, possibly even a 401K plan. The reimbursement rate is the amount the state pays a provider per low income child. While it has risen slightly in the past couple of years, it is still below market rate especially when you factor in the number of hours one kid may stay in child care. Collective bargaining would give providers the ability to negotiate this rate directly with the governor. A union for a workforce of small business owners might seem unusual, but it isn’t without precedent. In Chicago, providers won the right to unionize and negotiated a contract with the state of Illinois. “We won the right to have a contract, and a healthcare package,” said Chicago based day care director Rosie de la Vega. They also negotiated a fund of money from the state so that providers could get training in child development to improve the care and education they provide to small children, she said. Four years ago the Chicago day care providers also won a 4.25 percent raise in their reimbursement rate. De la Vega said none of this would have happened without having a union and the right to collectively bargain with the governor. In California, providers are hopeful that after five vetoed bills in past years, this might be the time they succeed. Governor Newsom is a supporter of boosting the early childcare field. His newly appointed deputy assistant secretary for Health and Human Services, Kris Perry, has been an early childhood development advocate for much of her career. 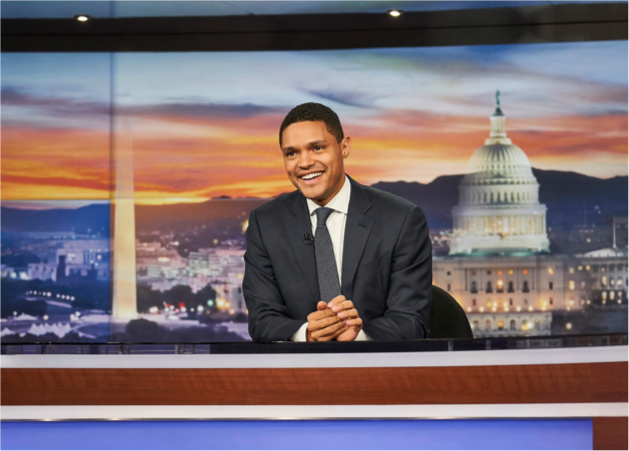 “The workforce that is supporting children birth to eight in California, they need so much,” Perry said. Perry has seen up close what the child care crisis looks like in her years as executive director of First 5 California and First 5 San Mateo, as well as other early childhood advocacy organizations. While she could not comment on the likelihood of Gov. Newsom signing AB378, she said he believes day care providers are critical to the development of the state’s future workforce and can lead the charge in getting kids ready for school. “Sitting across the table from a group of folks that want to do that for this state would be an honor and I think the governor would see them as an extremely valuable part of a system that lifts children up,” Perry said.